Signage Masters offers banner printing and design services to cater for individual and corporate needs. Whether hosting a birthday party or coordinating a marketing campaign, we can assist you. X-Frame / Spider banner stands are used when you need to change banners on the same stand regularly. This is an economical option for freestanding banners and is ideal for event coordinators, party & wedding planners. Roll Up Banner Stands are more steady than the X-frame stand, can be setup & dismantled faster and with less effort as the banner rolls back into the mechanism. Banners with Eyelets should be used when the banner will be secured using nylon rope or cable ties. An eyelet is basically a hole that’s punched into the corners that allow it to be tied in place. Banners on hanging systems will generally be used to secure a banner to the ceiling so that it’s suspended. These hanging systems are generally used by retailers. 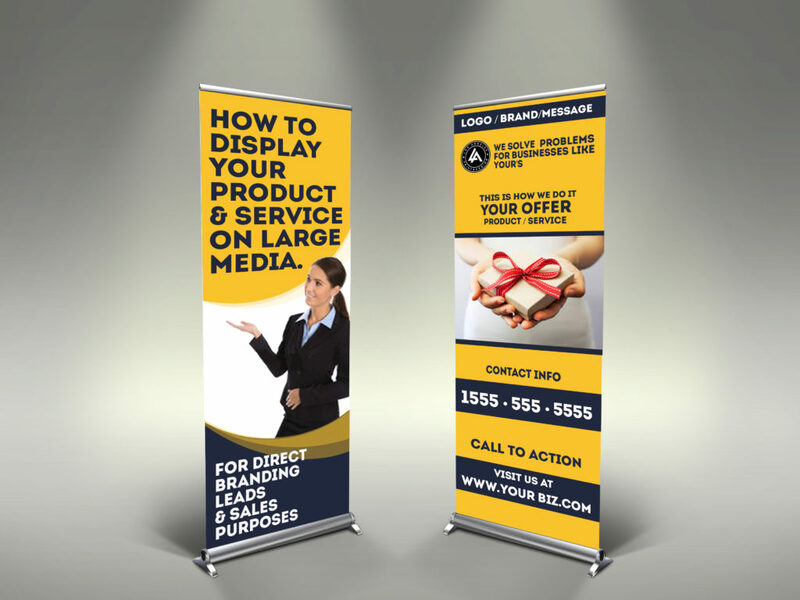 Custom size banners range in sizes but are generally 1370mm wide and can go up to 50m in length. The width can be increased by welding PVC pieces together to suit your requirements. 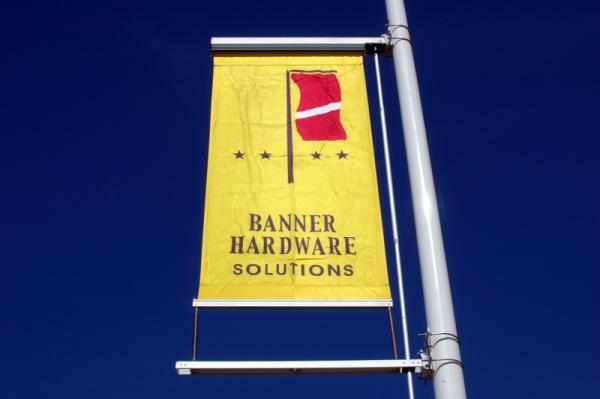 Eyelets are generally used to secure these banners. In addition, banners are used to cover up barricades, scaffolds and other construction barriers fall under the category of ‘construction banners’. Often when a business or location undergoes renovation or construction barricades are placed around the area where the work is being done. Instead of these barriers being a public eyesore, many companies turn those barricades into advertising space by using banners. In some cases, the scaffolding may even block out the storefronts of local businesses. In those cases, a smaller construction banner can be used to advertise the location of the affected business. The newest innovations in pop-up canopies, table covers and portable, high-impact branding and advertising signage. 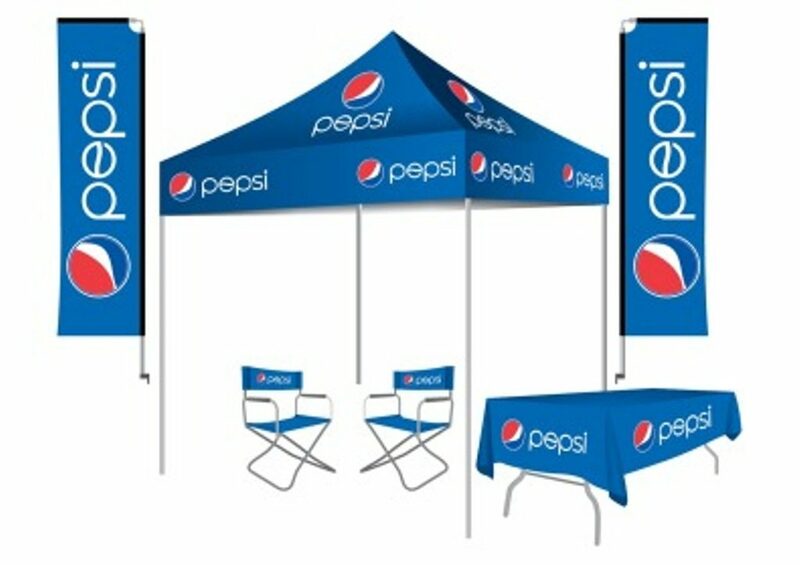 A-Frame Banners and the most complete line of high quality, cost-effective, single or double sided retractable banner stands, as well as pop up canopies, table covers, gazebos and advertising inflatables and balloons.